White Stuff: I love White Stuff for lots of reasons, not least the fact that my wardrobe is half full of their clothes, their changing rooms are always chock full of character, and they’ve kindly agreed to provide me with a dress for the MAD Blog Awards in a few weeks. At the moment I love them because it’s that time of year where they run Wear a Tea Cosy On Your Head Day, which never fails to make me laugh. More importantly, though, it raises money for 85 charities around the UK. My local store in St Albans is raising money for the St Albans Special Olympics, and my old local store in Edinburgh is raising money for the Lothian Autistic Society. 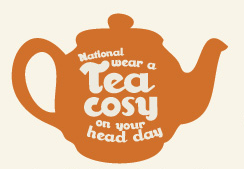 To get involved, find out more and buy your own tea cosy, you can have a wee look on the White Stuff website. Clara Vulliamy books: DorkySon got a book out of the library the other week that he loved, in part because the main character shares his name. It wasn’t until I’d read it a few times that I realized it was written and illustrated by Clara Vulliamy, who I’ve followed on Twitter for ages. 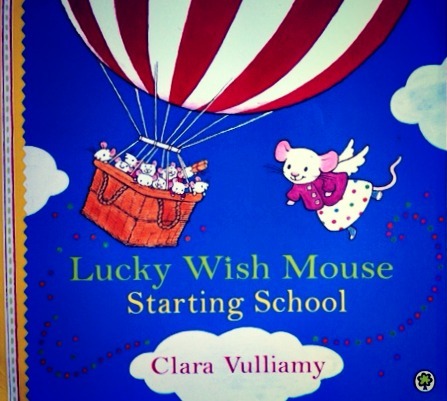 I popped across to Clara’s blog to tell her how much we loved it, and as luck would have it she was running a competition to win another of her books – Lucky Wish Mouse Starting School. All you had to do was guess the number of tiny mice Clara had drawn in a picture. I asked DorkySon to choose a random number, and then promptly forgot about the whole thing, so it was a lovely surprise to find out a few days later that we’d won! This gorgeous book arrived in the post. It’s all about starting school, which is very appropriate at the moment because although DorkySon is a year away from that, a lot of his friends have left nursery recently to start their reception year. We’ve been really enjoying this book as a bedtime story for the last few weeks, so thanks Clara! Barefoot Books: I wrote a post a few months ago about how much we love the Barefoot Books Children’s Atlas. What I didn’t realize at the time was that Barefoot Books were holding a blogging competition for the best post about the Atlas, and I was thrilled to pieces a few weeks ago when they got in touch to say that I’d won! Our prize is absolutely lovely – we received a bright red bag, containing the Barefoot Travel the World Gift Collection, along with a free download of the Barefoot Atlas iPad app. The books are packed with beautiful, colourful illustrations, and they’re a great way to talk to DorkySon about the cultures in different parts of the world. At the moment his favourite is Off We Go to Mexico (because he likes the pictures of trucks in a parade!) but to be honest they’re all lovely, and I think will be treasured for a long time. Daunt Books: DorkyDad is not always the easiest person to buy presents for, and in the past I’ve bought some things that have missed the mark by quite a bit. But for his birthday in August I found something BRILLIANT! 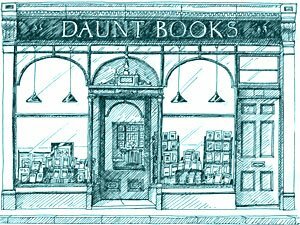 Daunt Books in London offer a ‘book subscription’ service where you can buy someone the gift of a book every month for a year. You can choose between paperback/hardback and fiction/non-fiction, all of which vary the price somewhat. Then you choose the first book you want to give, and that gets sent directly to the recipient (I chose The Deadman’s Pedal by Alan Warner for DorkyDad). After a week or so, Daunt Books will get in touch to make sure the first book has arrived, and to ask some questions about the person’s reading preferences, then for the next 11 months they’ll receive a book that has been chosen for them in the post. DorkyDad wrote a brilliant email about his favourite kinds of books, and I can’t wait to see what they choose for him next month. So those are some of the things making us happy. What about you? What things do you love at the moment? 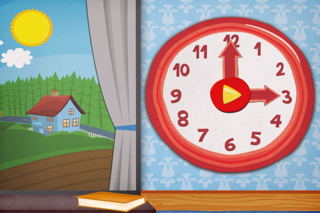 My goodness me – Christmas has come early in your house! I’ve heard very good things about Clara’s books – must buy some for Little A.